IoTUK Boost Finalists: Who are the SMEs making UK healthcare smart and connected? List: The race to get £1.9bn into the UK’s connected health market gets underway. With the global connected healthcare market set to be worth £37 billion and £1.9 billion in the UK by 2020, 20 British SMEs have been selected by Cambridge Wireless (CW) to boost health and social care using IoT technologies. Under CW’s IotUK Boost Programme South England, the finalists will participate in two intensive one-day workshops around technology, business and health and social care end sector usage. IoTUK Boost is a national programme designed to support IoT innovation and adoption across business and public sectors, through open innovation challenges and incubation activities across the UK. Assisting with the programme are IotUK, SETsquared Partnership at the University of Bristol and the 5G Innovation Centre at the University of Surrey. Partners of the programme include 4YN, Alloy, Arkessa, Breed Reply, DHACA, EASHN, Iotic Labs, MediaTek Labs and Trade Fair. Bob Driver, CEO of CW, said: "With the shortlist finalised the next step is to bridge the gap and connect these SMEs with problem owners through our workshops in Surrey and Bristol. "Together with IoTUk and SETsquared, we want to provide the incubation support they need to form a fundamental business proposition strong enough to answer key challenges facing the health and social care sector." CBR lists the final 20 SMEs taking part in the project. Acticheck has developed a 24/7 monitoring wearable to monitor the users wellbeing. 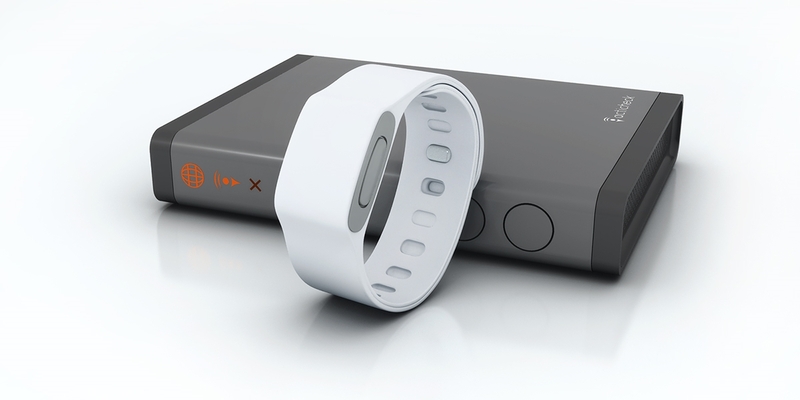 The Assure wristband has a yearlong battery life and it is waterproof. The device is linked to the cloud and sends out automated voice messages, emails, and texts when its sensors detect something is wrong with the user. At a price of £239, the gadget also communicated to the My Acticheck portal so designated people, from family members to health workers, can check the user’s wellbeing online. Activ8rlives has designed several smart products ranging from personal trackers, to smart weight scales, blood pressure monitors, and other. The company’s top device that led it to become an IoTUK Boost finalist is its BuddyWOTCH, a consumer-facing cross-over medically-certified device collecting key vital signs to forewarn of respiratory failure, with treatment shift to home by self-management undertaken by patient and their families. According to CW, respiratory disease is often incurable and affects 20% of UK, often age-related. It is the third largest killer, costing €380 billion per year. Altitude Tech is aiming at the air quality measurement market. Having put out to the market sensly, the device is a portable pollution sensor capable of detecting the pollution levels in the air using its onboard gas sensors to collect information about the various gases present. sensly communicates with the user’s smartphone for real time updates on air quality. Data can also be shared with the local community to improve the quality of the air. The small cube can sense different gases and air pollutants, including second hand smake and carbon monoxide. BioDigital Health have developed a proof-of-concept Assisted Living (AL) Health Sensors platform linked to the Building Research establishment SMART Homes. AL includes eye control, gesture, voice, for smart homes appliances including lights, smart door locks, and energy harnessing learning algorithms. Health and social care monitoring include heart signals wirelessly monitored and trialled for those at-risk with cognitive brain-sensors linked for cognitive online assessments. Care Systems Integration is trying to help people live in their own homes for longer. The company has built the Caring Cloud, a smartphone app that gives users advice on daily health tasks. The product also allows users to create their own Caring Cloud Community via the app by allowing informal and formal carers into the database. Caring Cloud interconnects GSM telecare devices and, using the secure NHS N3 network, make available social care information to healthcare professionals and relatives alike. Cascoda’s first generation of products is the CA-821X family, a fully-featured transceiver modem solution for IEEE 802.15.4 communications in the 2.4GHz band. The radio device delivers whole house coverage for ultra-low power consumption. This allows health monitoring devices to transmit real-time data to a database of another end-user device. CurrentCare has build up, in partnership with IBM, a system that is aimed at passive monitoring of elderly and vulnerable people in their homes, to alert carers and family members when something unusual is happening. The CurrentCare device is an ultra-low cost alert system based initially on energy use, which can detect what time someone gets up, goes to bed, cooks, and if they spend more time in front of the TV, for example. This is achieved by automated computer-based monitoring of daily behaviour patterns to gain insights into patients’ wellbeing and provide alerting to more urgent problems. 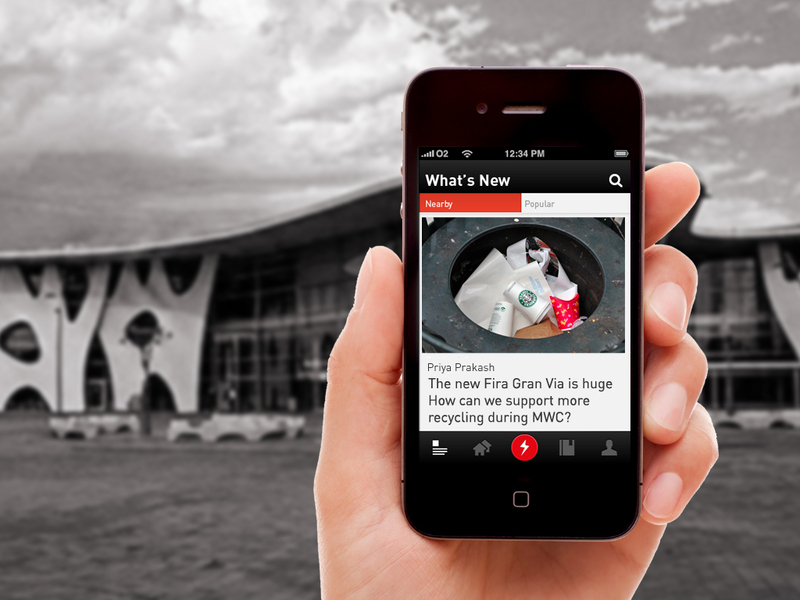 Design for Social Change has developed a real-time civic engagement social network. The solution applies human intelligence with location and sensor data to drive community participation, increase service efficiency and lowers maintenance costs. The company believes that for service providers and local authorities who have to maintain, monitor and improve public health infrastructures, Changify and its API is a game changer as it helps aggregated and prioritised issues through voting, and help solve them by applying data insights. Filisia Interfaces has built a next generation accessibility systems called Monoma. The units are wireless, tactile, touch sensitive and offer acoustic and visual stimuli. It is a set of sensor-based modular controllers and a software platform with gamified rehabilitation modules. It trains cognitive, motor and communication skills and reports on clients’ progress. The hardware offers bi-directional communication and is interoperable also being suitable for use by people with special needs. Five thousand homes in Newcastle City already use Green Access’s technology, which is centred around a wireless Communication Hub that includes Zigbee, Bluetooth, WiFi and RF ISM class. In Newcastle, the device is used as a basic unit with the local NHS trust and CCG interested in using the technology. The digital care hub, tracks the wellbeing of those living in the home 24/7 and sends out alerts to emergency services if appropriate. Inclusive Media Solutions has come up with an inclusive solution, Innovation Q-View, that enables people with cognitive disabilities to scan any item around the home with a smart device and it plays a video of how to use it. With the whole system hosting in the cloud, the Q-View works with a mobile app, Q-Scan, that reads QR codes. Q-Scan is available on both Android and iOS devices such as iPhone, iPad, Samsung, HTC, Nexus, LG, iPod, Motorola and others. The cheapest licensing for Q-View is £540 per annum, covering one user per location. Other packages can cost as much as £1049 every 12 months. Kemuri is also targeting the prospect of allowing people, mainly the elderly, to live longer in their own homes and more independently by building a built a wellbeing monitor that detects changes to normal patterns of activity. The multi-sensor Smart Power Socket collects data for families or carers who can check the data via a mobile app for the risk of hypothermia, malnutrition, dehydration and unattended falls. The company wants to help reduce the number of unplanned hospital admissions, the number of days spent in hospital by increasing the speed of discharge from hospital, and to reduce community and residential care costs. A smartwatch that converts into a necklace or a simple pocket pebble. MvBii Ventures has launched a £70 wearable to which it called Zing that allows wearers to build a private micro network with friends and share messages, activity and their diary. With a battery life of up to two days, the watch also communicates wirelessly with a smart watch va Bluetooth. However, it only works with iOS 8.1 or greater. The company says an android release is pending. The device boasts other features such as selfies without a stick, music control, messaging with just a blow on the watch and games. MyCognition measure and improve cognitive health, the ability to plan, solve problems, remember, focus and respond. The company has built MyCQ, a cognitive video assessment tool that works on iPads, Windows and Mac OSs. It is used to measure the five key domains of cognition: executive function, working memory, episodic memory, attention and processing speed. According to MyCognition, cognitive impairment is involved in all neuropsychiatric conditions and is currently poorly treated. It is also involved in poor health in schools and businesses. NquiringMinds has designed an IoT platform aimed at helping to run smart cities in a smarter way. They use sensor technology, deployed in both domestic and commercial buildings to collect data and give real time insights into people’s and infrastructures’ needs. The sensor suite includes energy monitors, CO2 sensors, temperature and humidity, boilers and PIR sensors. The data model allows data to be shared between multiple services at householder’s discretions. Can be used for energy monitoring, predictive maintenance, refurbishment calculations and telecare. Energy monitoring solution can ‘disaggregate’ (identify individual appliances) from central feed. Targeting the elderly, including those with dementia, to improve quality of life, Orb Technologies is currently developing an electronic entertainment and communication device. The spherical gadget will use a combination of primary and secondary research sources to engage users. CW said that the product opens up a huge potential market, using existing telecare applications on a device far more accessible to the mentioned audience. Position Systems is using healthcare technology to help locate, track and monitor citizens-at-risk, including the elderly, the disabled and the war-wounded, not only in the UK but also overseas, including Third World countries. The company has developed services and products to do this. For example, the PSL FallAlerter monitors one’s movement constantly with sensors and cameras to alert carers if someone has fallen at home. Other example, is the Intelligent Hygiene (iH) system for hand-hygiene monitoring to fight spreading deceases. iH measures hand-hygiene performance against a goal, eliminating the cost of badges, individual identification and privacy concerns. It uses sensors fitted invisibly into dispenser housings whit hygiene performance data collected and processed wirelessly. Measuring 45x18mm, RFMOD has come up with the BeanIoT. The device consists of a multi-sensor, wearable, deployable device, app and data service. It can be placed into the user’s pocket or fixed into clothes. BeanIoT builds an adaptive wireless mesh network of static (for example, room monitor) or moving nodes (people) enabling unobtrusive patient monitoring. Features include fall-detection, room-temp, humidity, lost-patient or poor-air-quality. All the collected data is distributed to the care-home or hospital staff. Already backed by the NHS and the Cabinet Office, Touchbase Technology has developed a fridge monitoring tool, the eFridgeMagnet. The device allows carers and family members to track eating patterns by other members of the household, including elderly people. 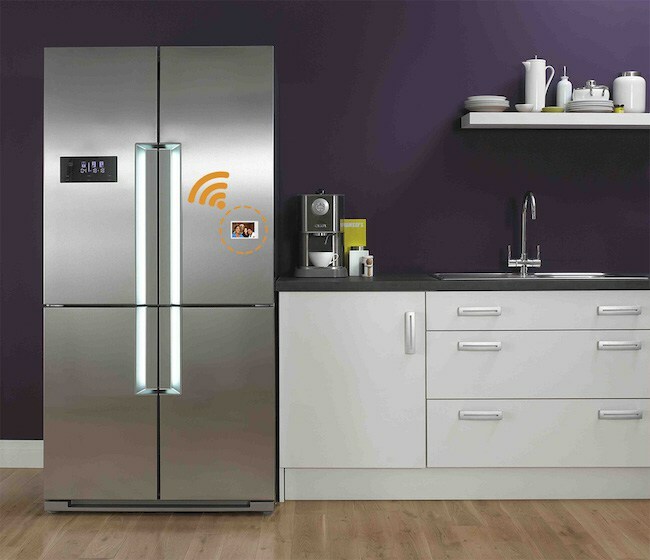 The eFridgeMagnet tracks fridge use patterns and sends out text messages. It has a onetime cost of £32 for the magnet and then £8 per month subscription for a home with internet. A non-internet enabled household will see the price go up to £46, with a £12 per month subscription fee attached. Simpalarm has built a wire-free and tamper proof unobtrusive activity monitor for the home which shares the company’s name. The device seeks to give the elderly more independence, while tracking their moves. The product has an integral movement sensor. In the case of increased level of activity monitoring, Simpalarm communicates with other sensors in the home to detect door opening and visitor arrivals. Using mobile phone networks, Simpalarm records data and sends out alerts to approved users’ smartphones if something goes wrong.